A denture is a removable dental appliance that replaces your missing teeth. They’re also a vastly misunderstood piece of equipment that gets a bad rap … for no good reason! Dentures can be worn on the upper portion of your mouth, or the lower section, or even both! Patients wear dentures for various reasons, however, they are similar in fit and feel, no matter the cause of your missing teeth. Updated technology has also allowed for dentures that look incredibly real, fit true to your gums (which allows for an incredible amount of comfort), and function just as well as your actual teeth. With our dental expertise and your custom dentures, you won’t even know the difference! 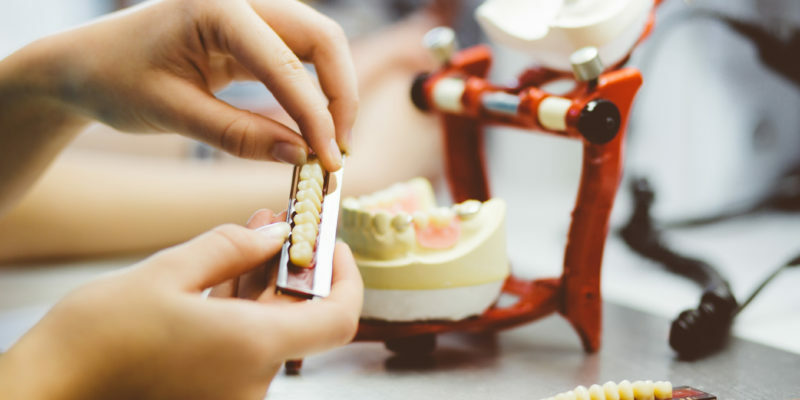 Whether you’re in need of your very first set of dentures, a replacement pair from your favorites that have worn out, or a regular dental consultation to see what your options are, we can help with your denture needs. Call us today so we can get you your smile back!